Welcome to the One Hundred and Third Edition of the Owen Guns Bulletin. 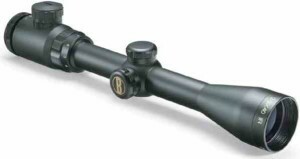 Owen Guns began in 1974 in Victoria’s Mountain Country, moving to Gympie Queensland in 1980. For 41 years Owen Guns have always tried to give the best advice and the best price for the best quality to their customers. Having three staff that have engineering qualifications, that have not only gunsmithing qualifications and experience, but have also manufactured firearms is a huge bonus for customers. Combined, they have 96 years of experience in solving customers problems and don’t mind admitting they are still learning. So will keep investigating our fascinating industry. 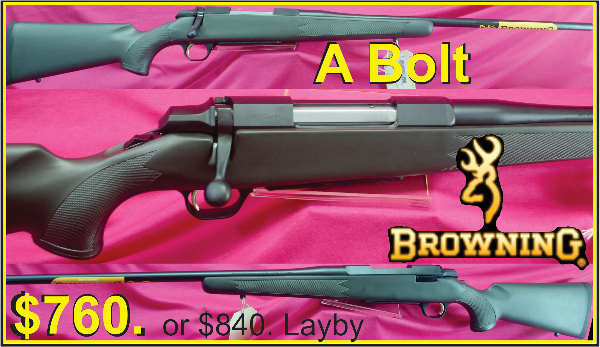 None of this occurs at Owen Guns, we do not have online shopping baskets we encourage our mail order customers to make prior contact, to confirm that we have, just the stock you require, and you know exactly how much the freight component will cost you. It only takes a quick call to 07 54825070 or 0754824099 in shop hours 9 am to 5 pm on weekdays and 9am to 4pm on Saturdays, or fax to 07 54824718 with your credit card details, email owenguns@spiderweb.com.au emails and fax will be confirmed with freight component before dispatch. We want to encourage contact between our staff and customers, we want to make friends with our customers, some of who have been customers for over 40 years. If we fail, we want to know about it, so we can remedy it. Contact is the only way for lasting customer friendships to exist. NEW FIREARM SHOWROOM. CALL IN AND VIEW OUR DISPLAY OF 450 (plus) FIREARMS, Owen Guns at Gympie have our own Gun Shows permanently so please call in to see us. 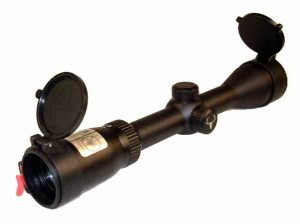 For a look at some at our other gun rooms please click on the link below. 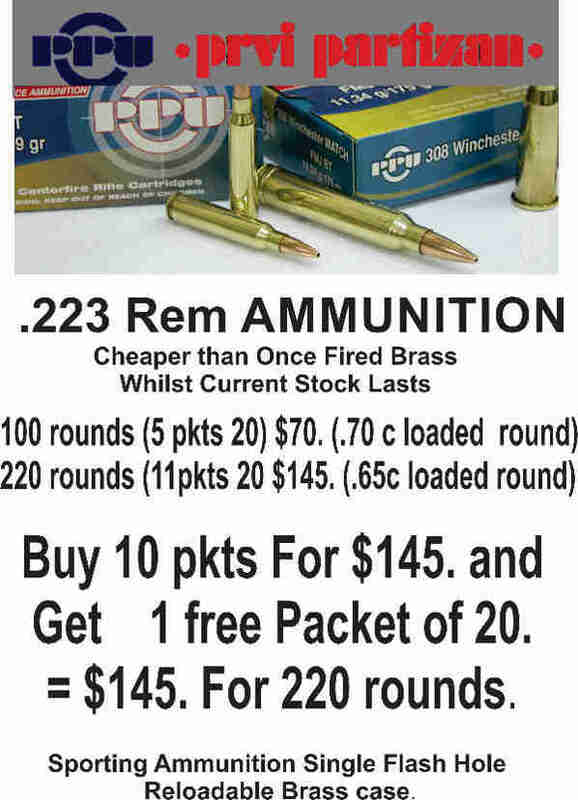 http://www.owenguns.com/gympie-shop/gun-rooms/ All the prices below are prices in the shop, or online but then you have to pay packing post, or freight. So save money and call in, all are welcome. We are Now in the Deer Season, not yet the Dear Expensive Season, but all prices have been going up in price, due mainly to our diminishing Australian dollar. Owen Guns purchased a lot of stock prior to the end of March rises in the wholesale prices. If you can try to take advantage of before the new priced stock arrives. If each had 2000, or so complaints and many more are possible when we include family and friends the work load would be quadrupled by the staff the mainstream media would know about it and respond. We then have an issue that will hopefully involve a response from the lost 600,000 who do nothing for our common cause. Their inactivity, their apathy forms the chains and bars that imprison us all. Their only excuse is that they cannot remember how great the taste of freedom was. The choice is within us all to either protest, or huddle down and hope your not noticed by the evil empire that has set itself over us all. I suppose I am frustrated, not just because of the imposed tyranny which the double imposition of a licence and PTAs is just one small example of, but for our tyrants to ignore all the logic and fact that proves that their ghastly bureaucratic nightmare is just an expensive waste of government and citizens resources, they still cling to the chains of control and Parkinson Law of perpetuating increases in government staff. Control at any cost, your cost, you and I pay for our own jailors, chains and bars. As they build their glass and steel Skyscrapers, the modern equivalent to the Pyramids, filled with floors of minions making decisions, forming opinions, defining legislation, making determinations that control our lives. They sit about thinking of more ways to create obstructions to our civil rights, our industry, our sport and hobbies. Light, Hope From The Heart Of Darkness. My submission on behalf of The Firearm Owners Association of Australia. The findings of the Committee comprised of two separate Reports with two separate recommendation, one set from the Chair Penny Wright who do not get confused is not related to Penny Wrong, and one from the Majority of the Committee Members who accepted facts and logic instead of hate and emotion. The Majority findings were highly critical of the recommendations of the chair and found that there was a lack of evidence to support those recommendations, they issued a new set of Recommendations which as they are the majority replace the first set which are now eternally condemned as a falsehood. In the report, he described the registration of all firearms as a waste of public money and time. This finding by the SENATE is a landmark breakthrough. 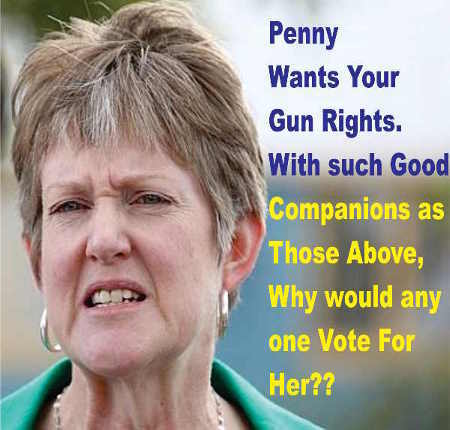 Every Australian State and Territory, Attorney Generals Department and Police put in submissions, so did the Greens and Gun Control Australia, of course this was countered by about 400 pro-gun submissions, but this Senate Inquiry (Really the same as Royal Commission) was open to all Licensed Shooters in Australia, where was the million other submissions why again is so much owed by so many, to so few. When any State Police again refer to the National Firearm Agreement (The NFA) as some godlike power as its from the mouth of the Commonwealth, just past decisions by our politicians, we can rightly say but ‘that has been replaced by the Commonwealth Inquiry that all Police States had made there submissions and the Committee had a majority agreement that the States should ‘DEREGULATE’ and ask when are they going to follow its RECOMMENDATIONS. We All Should Ask Our Local Politicians When Will ‘DEREGULATION Begin? Last week when I was a delegate to a meeting with the QPS Weapons Department on behalf of the Firearm Designers Theamic Collectors Association Inc. when I suggested that Licensed Collectors who have to run a register of their collections should not have to apply for PTAs as well, that they could in the same way as Dealers or Armourers just record the acquisition in there register and send a Form 10 to Weapons Licencing with a duplicate of the information. I was bellowed and told to be silent on the matter of PTAs as it had nothing to do with Historical Associations, I would not be silenced and I pointed out that the impositions on Firearm Collectors were similar to all licensed holder in the State, I told by a Police Sergeant and an Inspector that I was wrong that collectors were happy with their lot, that this meeting with the Collector associations was just to round off the procedures, to improve communication between the Weapons Licencing and Collectors Associations. The Sergeant followed up with his idea that government would never give away the millions it was annually taking in due to the $34.00 PTA application fee. I firstly pointed out that two years ago a Parliamentary Standing Committee had found that it cost $64. for any government department to receive, receipt and send a response to any amount of money paid to it. (That finding persuaded the last government offer ten year licences to shooters) so the government was already out of pocket. That figure does not include the cost of all the mistakes in the Weapons Register, that besides making it totally useless, cost the taxpayer and shooters millions. The Police strongest response was since the new computer system they received very few complaints about PTAs and that they had a role under the Act for Community Protection. I replied that before they entered the role of Community Protection that they had to identify that Licenced Shooters were a threat to the Community, and as the finding of the Senate Committee was that the licensed shooters were not in anyway a threat and that the States should deregulate due to the cost on government, industry and the law abiding shooters. I informed them that they had a responsibility to inform the Government that it has to decide to either persist in the futility of registration and make it easier for licensed shooters to add all of the thousands of ‘Off the Book’ firearms to the Police register, By removing PTAs and Permanently Inoperable requirements as they are huge blocks in the way of shooters who want to have their firearms lawfully. I also added that ‘Blind Freddy’ could see that the amount of imports and increases in numbers of licensed shooters would eventually make the Police Firearm register impossible to sustain, already it was cracking at the seams with at least one in four pieces of information needing correction. Surely, it would be better to at least get the shooter address right and concentrate on licencing the shooters and keeping the Gun Shop registers as that was the source information that they had to ultimately rely on as theirs was so flawed. I had, had my say, the HAC, The Guild, the Military Collectors, the Light Horse and the Shooters Union, all listed their problems that they suffered under the Police impositions. The Police answered with words such as that is ‘Police Policy’, We have ‘determined’ that is the meaning in the Act, or that is the ‘meaning’ of the NFA, or that is our ‘in opinion’ on that section, or our decision ‘looking at the Act as a whole’, or our ‘definition’ of the Act and if you don’t like it take it to QCAT (court) at your expense. I pointed out that these points qualified my initial statement, that it was not just me, or our Associations that felt that way, all of the Associations present felt these impositions. Most caused by Police procedure, but nearly all could be solved by eliminating large sections of the Weapons Act 1990 and the Police Procedure Manual. The Australian Dollar continues to decline last night it was .77 cents. .23 cents from last October but by the time the increased freight cost in USD and percentage factor increases in bank costs, wholesalers cost and GST cost eventually the prices on imported goods will equate to a 30 to 40 % increase on current prices. Owen Guns, due to advanced purchasing should be able to hold most prices until June and due to those large quantity purchases some lines may be even cheaper, but it is all temporary. Prices have began to go up elsewhere and they will eventually affect Owen Guns but unless the dollar recovers over 95% of the shooting goods you normally buy will vastly increase. Remington Model 7600 Pump Action .308 w 22 inch barrel. $1350. “It’s a week since I received a copy of “Range Officers Hand Book” and since that time I am nearly at the half way mark. I’m amazed at the at the number of subjects you have covered making it one of the most informative books to be added to my collection. It must have taken you a considerable amount of time and experience to publish the book with information not available in other popular Gunsmith manuals. 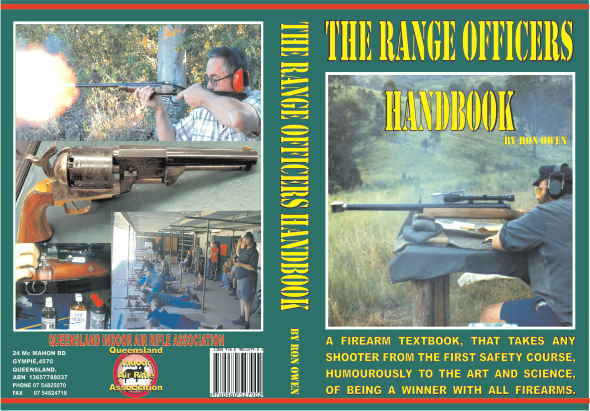 I would recommend the book to “Range Officers” and anyone interested in the sport of target shooting and hunting.” Regards Gene M Cornford P.O.Box 288, Kaeo 0448 N.Z. Firearms Gunsmith, Dip M.G.S +Member of American Gunsmithing Assoc. For more Free Firearm Manuals & New Latest Version of the External Ballistics Calculator for all Components Not Bullet or Powder Brand Specific. Scroll Down to Free Downloads of 160 Electronic Books such as Rifle Marksmanship by U.S. Marine Corps and other manuals. 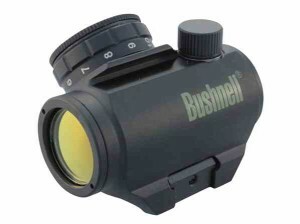 Also Free External Ballistics Calculator NEW VERSION for all Components not Brand Specific. Facebook http://www.facebook.com/OwenGunsCLICK the ‘LIKE’ button, in the top centre of the page, or the site will not interact with you. Then you can add, articles, web pages, video’s, photos etc. You will see the page, but until you CLICK ‘ LIKE‘ the page will not allow you to contribute or ask questions, or comment, nor will it report back to your page when new free firearm books and manuals are available for download. Facebook can assist us to supply the subscribers to this Bulletin with an easier access to ancillary information. 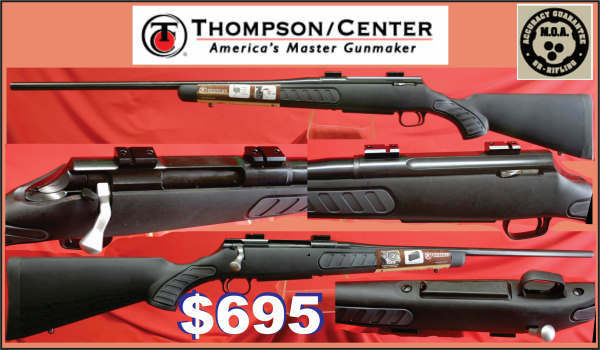 Example;- in a previous edition I tried to link in a video clip showing the operational sequence of the Benelli shotgun and a clip of Tom Knapp showing trick and fancy shooting with a Benelli demonstration both failed to some degree. 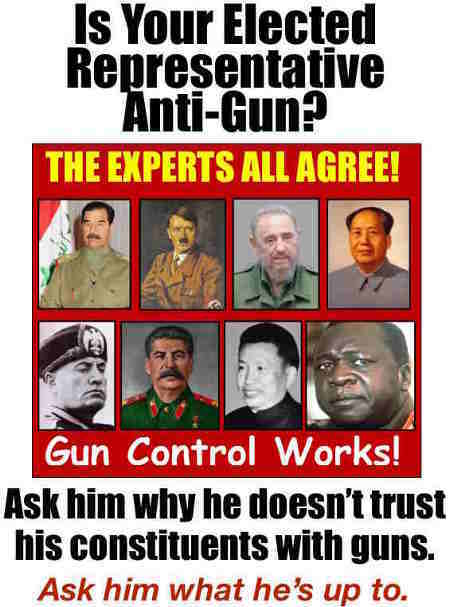 Now, by linking them to Facebook Owen Guns, all those are now there any amount is all possible and much more are coming.